Showing posts from category Djibouti. Today, as El Niño-related droughts impact communities across East and Southern Africa, food aid shipment and distribution networks have shifted into high gear. 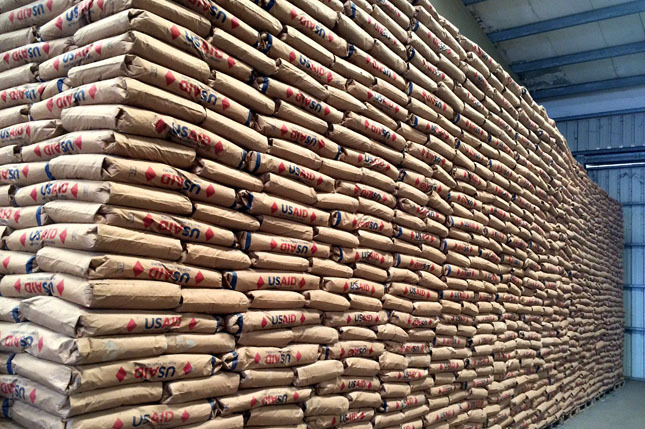 From the U.S. Agency for International Development to the United Nations World Food Program and NGOs like CARE and Save the Children, food aid providers are stocking port warehouses in Djibouti and South Africa, as well as inland warehouses in countries like Ethiopia, Zimbabwe, and Lesotho.